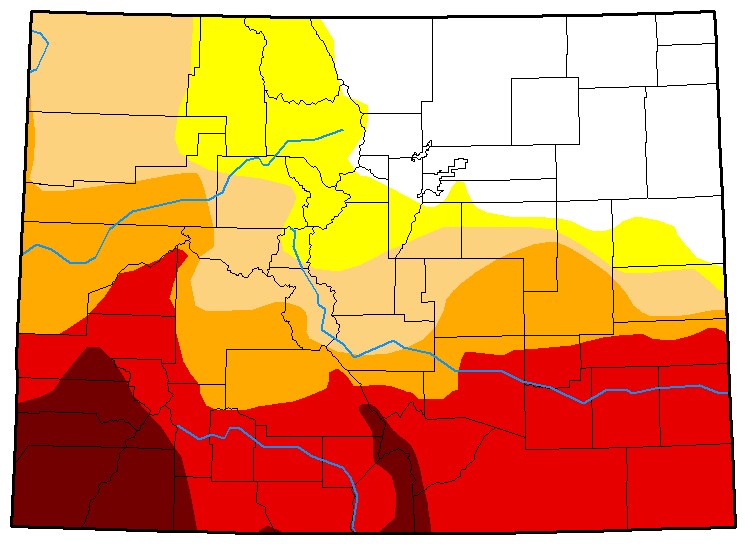 A week after extreme drought expanded in southeast Colorado, conditions have also deteriorated in the northwest. 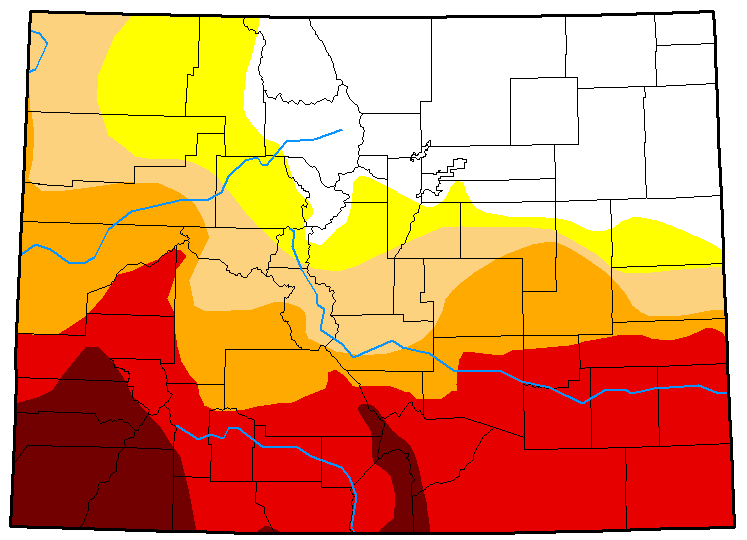 Jackson, Grand and Summit counties, which had been largely drought-free, shifted to abnormally dry. Moderate drought expanded to cover most of Moffat county and a larger portion of Eagle county. Severe drought expanded further into eastern Garfield county. Slight improvements were observed in southeast Kit Carson and northeast Cheyenne counties. In the coming week, the remnants of Hurricane Bud and additional tropical moisture from the Pacific, may bring some relief across Colorado. Overall, 20 percent of the state is drought-free, down from 25 percent one week earlier. Abnormally dry conditions increased slightly to 12 percent, and moderate drought increased to 16 percent from 13 percent. Areas of severe, extreme and exceptional drought are unchanged from the previous week. 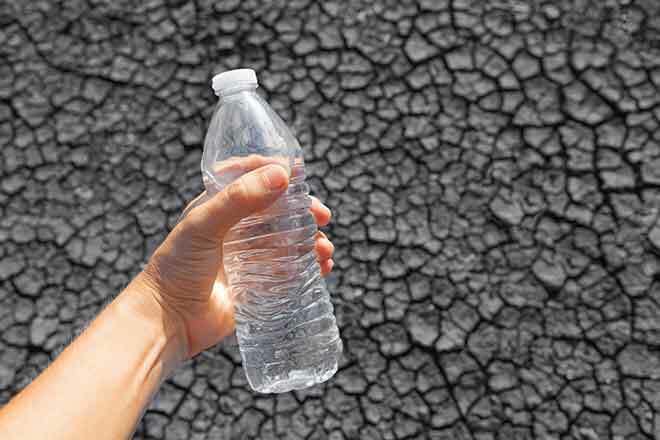 One year ago, 94 percent of the state was drought-free, while six percent was abnormally dry.